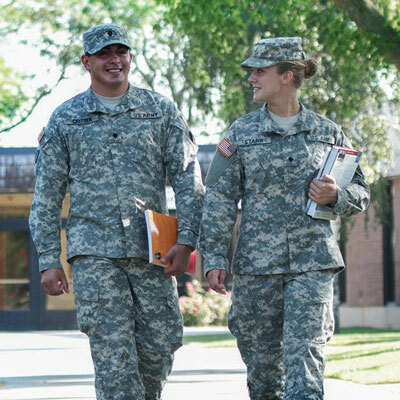 The strategic planning process was initiated in October 2014 with the reveal of the approved mission-vision-values-student success statements at the all-college in-service. All employees viewed unfinished business from the previous strategic plan and identified what they believed were remaining priorities from the previous plan. Improve student retention and success by improving learning and student support, increase degree completion, implementing a first-year experience program, and advancing environmental literacy and sustainability education. Promote a culture of appreciation by improving orientation and collaboration, expanding professional development, improving communication, and supporting future leaders. Curriculum training is ongoing across the college. As new programs emerge and/or new faculty come on board, the Faculty Resource Center staff works to share best practices and collaboratively develop curriculum that accurately reflects the expectations of the program and its courses through competencies, learning objectives, and student performance criteria. Collaboration with program faculty and academic administration is key to creating effective curriculum and instruction at Central Community College. An initial meeting held in the summer of 2015. A team has been identified and will meet in August 2016. Committee met in August 2016 and developed a flow chart and basic rubric. Waiting for Curriculog to be installed (a software that converts the paper process of course and program approval to an electronic format). Explore the use of cross-collaborative teams to review curriculum objectives. The ASL committee had developed, revised, and improved a reporting system utilizing SharePoint and InfoPath. It was brought to the committee’s attention that the InfoPath portion of SharePoint was no longer going to be supported by Microsoft; without the InfoPath portion the reporting system would not be functional. The committee set a goal to find a new reporting system before the SharePoint system could no longer be used; the committee wanted to have a new system tested and in place before rolling it out to the general faculty. After exploring the availability and cost of other systems the decision was made to see if the assessment portion of the Worldwide Instructional Design System (WIDS) software that we already own, could be adapted to the use of the college. A pilot group was formed and utilized WIDS for a reporting period. The pilot group reported that while portions of the software worked very well, there were other portions that were not user friendly and did not accomplish what the ASL committee needed as far as collection and reporting. The WIDS software company was approached with the idea of developing a program within their software that would do what the college needed. WIDS developers worked with a group of ASL committee members to develop and test a reporting system. The new reporting program should be available to the college in November of 2017 and the committee will develop a system to introduce and train faculty on its use in 2018. The ASL committee is adopting a mentoring approach to assessment. This new focus will be reflected in the review groups that are used to evaluate program and Academic Education group reports. The review groups will be peer orientated – in the past the review groups were assembled to avoid a reviewer having a report from their own division or group to avoid conflicts of interest. Most faculty are familiar with the assessment process and it will be beneficial to have reviewers be from the same division to foster mentoring. The ASL Committee used this transitional time as an opportunity to move the college's ASL focus from report completion to a commitment to continuous improvement. An ASL sub-committee worked together to develop a new CCC ASL evaluation tool in the form of a rubric. The new rubric (adopted May 2018) evaluates a program's progress in two standards: 1-Teaching and Assessing for Learning and 2-Documenting and Using Results for Continuous Improvement. 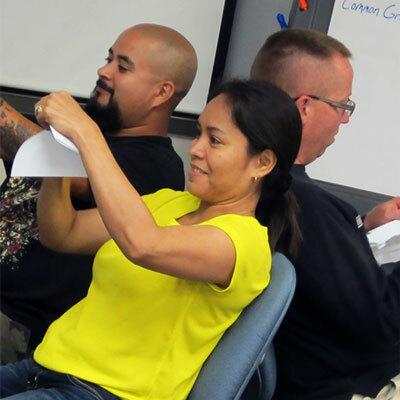 Programs receive feedback from their ASL sub-committee and a rating in each standard of either Advanced, Proficient, Progressing, or Beginning/Not Evident. Provide ongoing professional development and support for faculty as they work toward using assessment to inform instruction and program decisions. The ASL committee would like to roll out the new reporting form in 2018. The committee has outlined a plan to utilize identified common meeting times and non-teaching contract days for training and mentoring of program and Academic Education group lead faculty. The leads will be the primary focus of the sessions, but other interested faculty and any academic administration may attend. Program Review goals have been established the Cabinet and a new reporting form has been developed based on requirements from the CCPE and CCC data. Pilot programs using the review form are Business/Accounting, Drafting and Design Technology, Quality Technology, Mechatronics, Hospitality Management and Culinary Arts, and Criminal Justice. Programs are reviewing requirements. Each has outlined a semester by semester plan for students. 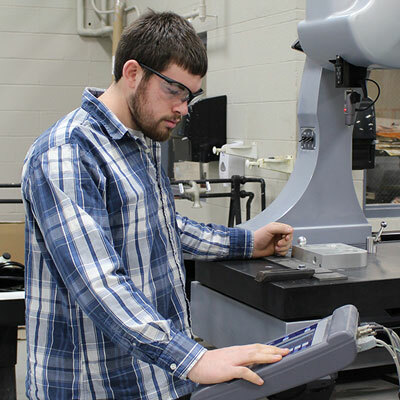 Programs that have redesigned and simplified programs of study: Advanced Manufacturing Design Technology, Business Administration, Accounting and Logistics; Business Technology; Construction Technology; Drafting and Design Technology; Electrical Technology; Health Information Management Services; and Information Technology and Systems. Program Review goals have been established the Cabinet and a new reporting form has been developed based on requirements from the CCPE and CCC data. Pilot programs using the review form are Business/Accounting, Drafting and Design Technology, Quality Technology, Mechatronics, Hospitality Management and Culinary Arts, and Criminal Justice. The report has been improved with cleaner data. New programs are Business Technology; Dental Hygiene; Dental Assisting; Early Childhood Education; Heating, Air Conditioning, and Refrigeration; Media Arts; and Medical Laboratory Technician. Programs are reviewed on the same rotation as the state CCPE rotation over a seven year period. Specific programs that are struggling in enrollments are reviewed annually as needed. All programs now have established course sequences for each diploma and degree award published in the electronic catalog. Many programs have been reviewed and the number of credits in many programs have been reduced. Focus on revamping foundations in order to increase completion rates. In a college-wide process this goal has been identified as a priority. Work will begin in Spring 2018. Identify general education and program courses that are "key" in a students' program of study. Identified courses will establish a completion goal and plan for improvement over the next three years. Identify "top 10" objectives or concepts that are difficult for students in those courses. Utilize professional development and instructional best practice to assist students in learning difficult material. Develop orientation / success seminar for each course. Current focus is on foundations math. Math faculty have met during the fall 2017 semester and have made several recommendations. Academic Ed Team and upper administration will meet to review. Faculty piloted additional resources for Essentials in order to address potential cost issues related to enrollment. Emporium models will continue in Fall 2016 with reassessment of completion/success data in Spring 2017. Faculty working on a statewide project to increase the number of high school students who are college ready called Nebraska Math Readiness Project to launch in Fall 2018. Investigating how early intervention in HS initiative with CAOs of Nebraska CCs could be a model for future delivery of required math courses (1 + 3 model). Academic Support Opportunities have been part of conversations concerning how CCC supports students to be successful in foundations education. Academic Success Centers maintain records on number of visits for tutoring, skill builder workshop attendance etc. ; math faculty would like to review skill builder curriculum alignment with essentials; writing coaches maintain records on the number of visits etc. This was an Action Project for the HLC and was completed. The team recommended and the CAO agreed that this project would end because of restraints. In Fall of 2017, Academic Standards submitted a recommendation to Ed Services to accept ACT/high school GPA combinations as alternative placement for math and English at CCC. Determine "decision zones" and best-practice recommendations for student placement. Faculty representatives from across NE Community Colleges met to establish/ recommend placement scores; decisions zones were also recommended. Implementation begins July 1, 2016, with additional review after two cycles of testing/placement. Train academic and non-academic advisors about new placement scores and support options for students in decision zones. New Accuplacer scores have been established and adopted across all Nebraska Community Colleges; implemented in Fall 2017. Next conversation upcoming: multiple measures. Student Planning allows students and advisors to identify planned, registered, and completed courses for all program at CCC. The first time a student meets with an advisor the degree plan is set up by semester. Once the plan is established, it is easy for students to register for the courses they need for their degree. Student Planning is part of our Student Information System and as soon as grades are posted by faculty, the grades are immediately viewable to the student in Student Planning. The system is very user friendly and students and advisors are very appreciative of this product. Currently this is not a requirement for advisers to use with their advisees. The college is working with Ellucian to determine reporting options from this tool. The college hopes to project future term course needs based off of utilization of this tool. Investigate use of technology to report student progress notification in real-time (Ellucian PILOT). Establish exit interview process for students who completely withdraw and survey "stop outs" following the end of a term. Identify best practice interventions for students identified through SPNS. 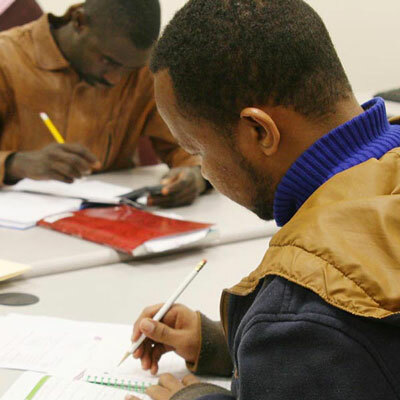 After a successful Bridge to College Success project in Summer 2016, the team decided to transition current COMM classes (for ESL) to NCRs and adopt the Bridge curriculum as a fourth transition class based on success from the summer 2016 pilot. Virtual Campus Committee reconvened in Fall 2017 to begin creating an action plan around creating high-quality online education at CCC. Quality Matters Standards stress having information in the course that makes it clear to students what is expected of them in the course and how to complete the courses successfully. Reports are available from MySQL queries of the Moodle database to identify students who are not logging into their courses. Reports are also available that identify students who have received grades of zero on assignments indicating that a number of assignments deadlines have been missed. Use Moodle completion tracking and Personalized Learning Designer to track student progress and communicate with students who are not participating. Virtual Campus Committee reconvened in Fall 2017 to begin creating an action plan around this item. Need for policy to aid completion Learning Support Services has been assisting faculty to provide as much information as possible in Moodle for students in on-campus courses. Tutorials and training can be used to show faculty how to add more content to their Moodle courses. Quality Matters standards indicate that content and materials in the course need to be aligned with the competencies and objectives of the course. Need more details for "important information." The Moodle Course Announcements Forum is included in every Moodle course according to the LMS template agreement. Messages posted in this forum are also automatically sent to the student's CCC email. The Moodle Personalized Learning Designer tool in Moodle can be used to provide communication to students based on their interaction with the course, such as when they enter the course, how they perform on tests and assignments and if they do not log in regularly to the course. The college has added a great deal of important course information announcements in Moodle and use this tool as needed to share information with students. Faculty are actively engaging in Quality Matters initiative. There are two apps currently available to students who wish to access their Moodle courses on a mobile device. The Moodle Mobile app and the Ellucian Go app are both available in the Google Play store and for Apple iOS at iTunes. Learning Support Services in customizing the Moodle More theme for a planned Fall 2016 release. This theme is responsive and will adjust to the user's screen size. The current Express theme is not responsive. The More responsive the Moodle site will allow users to use features of Moodle effectively on their mobile phones. Tier one Help Desk services are now provided by the ITS service Center telephone support. Over the next year we are looking to improve on IT processes with a new framework (ITIL) on how our incidents and requests are handled. We have purchased a new tool and this tool will aid in documentation and will assist CCC with work order completion times and will provide a better electronic communication to our stakeholders. We are also working on documenting a formalized onboarding with our technician to aid with new full-time employees. A soft launch (internal use) is starting in November 2017. Full launch will be Spring 2018. With the onboarding of the AVP, continued conversations regarding scheduling modalities (IP, F2F, and online) will inform a direction and plan for efficiency and student access to offerings across the area. ACCESS ISSUE Review on-line, IP, and face-to-face offerings of key program courses at centers. Six Learning Support Services staff have completed. The Quality Matters Applying the Quality Matters Rubric course. Three have also completed the QM Peer Reviewer Course. Two LSS staff have earned the Quality Matters Peer Reviewer Certification. One LSS staff member has completed the Online Course Facilitator course and received certification to teach the Applying the Quality Matter Rubric course online. The Instructional Coach has earned the QM Face to Face Facilitator certification to teach the APPQMR course face-to-face. In Fall 2017, 40 sections utilized included from Follett, saving $138,067. 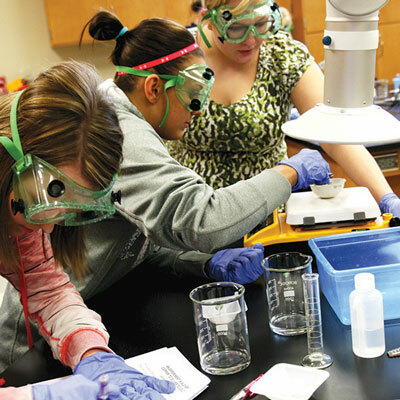 Follett’s included delivers all required course materials and supplies to students as a part of their tuition or fees. The College also saved $70,911 from using OER (open educational resources). Faculty and staff met with Follett in the Fall 2015 to discuss textbooks costs and options. Faculty will take the information into consideration when ordering textbooks. Need more information on the Price Match policy that Follett has. First presentation to the Board in September 2017. Improve access to books by increasing the number of open-educational resource courses. A group of faculty will meet with Dr. Brennan and Dr. Fuchser in April to develop guidelines for adopting OER. Several faculty are moving forward with piloting OER. College President and Executive Vice President set goal at $100 per course. Increase hours of tech support for Moodle. Moodle tech support is generally available face-to-face or by phone from 7am to 5pm Monday through Friday. Establish environmental sustainability merit and need-based scholarships for CCC learners demonstrating leadership or career aspirations in fostering environmental stewardship. Decrease student and employee commuter travel by 25 percent from the 2012-2013 baseline on all campuses through public transportation and a commuter program at all campuses/centers. Establish edible landscapes and local food production on each campus to provide 10 percent of the overall produce used by on campus food service vendors and the culinary program. Will be more completers after Spring semester. Integrate 3 new Environmental Across the Curriculum courses into the e-badge program annually. Establish pollinator gardens on each campus with an outdoor learning classroom. Still need outdoor learning classroom in Grand Island. There are currently bike share programs on both the Grand Island and Columbus Campuses. Evaluate the financial viability of Career Academies; Adjust plans as needed. Initial data elements and review of contract status for individual schools are currently under review. I would estimate we are 5% done with this initiative. Develop New Career Pathways around industry needs. It is a transition time for many high schools. As we work to close articulation agreements with area high schools, we are promoting the adoption of college courses for credit as a replacement. Our goal is to increase the involvement with secondary schools, college staff, and faculty, utilize our time to demonstrate CCC services, resources, and communicate college, state and national changes. We actively promote eleven Career Pathways with discussion for expansion in Culinary Arts, Criminal Justice, and Mechatronics. Lexington High School (LHS) is offering Automotive Technology courses at the certificate level for high school junior and senior students. Additionally, the school and community support focus is on welding. With local assistance, LHS is undergoing construction to expand its welding lab. 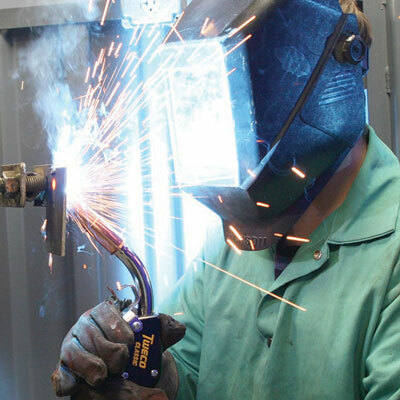 Once this renovation is complete, the school is looking to integrate the five-course model for Production Welding allowing students to enroll for credit and complete the college certificate. Improve/Build relationships with four-year institutions. Increase reverse transfer students receiving awards. This will be an agenda item for the March 15, 2017, College Deans meeting with the Executive VP to begin the planning process. Review assessment, placement, and advising and how it relates to / supports / hinders these potential students. A request for data has been sent to the IR Office to serve as a baseline. Develop a business plan (Training and Development) to assure ample revenue flow (not relying on grant dollars). Working with the CCC Public Relations Office, a marketing plan was developed in late 2016/early 2017. This will be incorporated into the Business Plan. Gather feedback about need for night / weekend programs. The T & D Directors and Trainer/Coordinators schedule customized short term training around the shifts of the various companies with which we are working. Working with the STS instructional division and the IR Office, we will attempt to survey and determine the needs for short term non-credit training and for credit courses during evenings and/or weekends at the GI CPI Building. Investigate offering CCC Courses / Training at business site. T & D has for many years held training at the sites of many companies. We will, however, survey the need and level of interest from the businesses of our providing credit courses at their business sites. This will be included in the survey mentioned in Strategic Plan 2.3.3a. Evaluate number of trainings offered and number of participants (some classes cancel often...consider offering fewer trainings in hopes of larger participant numbers). This has been accomplished in the topical areas in which we offer general public classes - primarily in computer software, leadership and environmental health and safety classes. A marketing plan was developed through two work sessions with a representative from the CCC Public Relations Office. These occurred in December, 2016, and in February, 2017. Coordinate training classes with for-credit classes. This will be initiated based on the survey results described in Strategic Plan 2.3.3a. Work with college counselors to transition disability students and special support service using WebCentral, Moodle, etc. Increase bilingual recruiters and student support staff. Student service positions are posted as bilingual preferred. "Grow our own" bilingual faculty and staff. Develop marketing for non-English speaking audiences. Investigate providing sponsorships for bilingual students. The "Tech Prep" (High School Articulation) program will conclude at the end of Spring 2017 semester. At the point, all articulated course agreements will sunset, and all courses offered in the high schools will be run or credit. Professional Development Workshops are offered every summer in several CTE program areas for high school instructors who teach in those programs. Work has begun on the planning of in-service days for high school personnel who serve as contacts and have been working with the Extended Learning Services Division. The majority of these high school personnel are guidance counselors. This has been partially accomplished in some of the ELS offices prior to SU 2016, but a more formalized and structured area-wide plan of action was developed in an ELS work session on June 14, 2016. Will schedule a meeting with ELS and Public Relations in FA 2016 to begin the process. This has been completed, and over 80 students have indicated that they will utilize this program beginning in FA 2016. This has been occurring for several years and will continue to occur as per the request of our area high schools. Increase number of ELS students. The number of Early College enrollments increased by 169 from FA 2014 to FA 2015. The enrollments in SP 2016 increased by 127 over that of SP 2015. This process was completed with Training & Development, but will begin with ELS in FA 2016 in a meeting to be scheduled with Public Relations. Increase dedicated space for Extended Learning Services. A meeting on June 22, 2016, is scheduled with CCC's architects to provide input on ELS space needs with a goal of growing programs. We have board approval to move ahead with the project. Ground work is already started and the goal of completion by August 2017 is still achievable. The initial academic plan was completed with building plans. Initial programs identified include: Advanced Manufacturing, Mechatronics, Agriculture, Information Technology and Services; Construction, Nursing, Emergency Medical Technician, Nurse Aid and academic subjects. 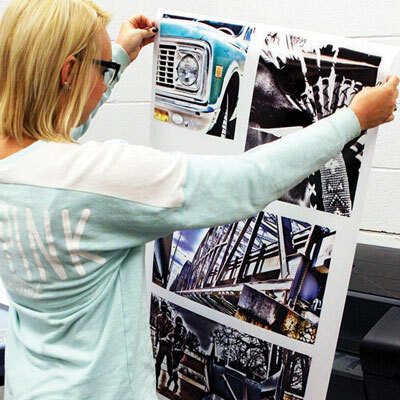 Welding and Drafting Design will be offered in conjunction with Kearney High. Several faculty members have been reassigned the Kearney Center. Committees are meeting this summer to design timelines including the details for the academic plan. Increase career pathways partnerships with Kearney Public School and other area Districts. Several planning meetings have been held to discuss programming growth and the accompanying space needs for the new Kearney Center. Discussions are continuing, with the next one scheduled for June 23. Current conversations with G. Banek from the University system will likely lead to further conversations with NE Community College leaders and then the NE State College/University system. Participate in Literacy/Cultural Arts with the Columbus Public Library and Columbus Area Arts Council. Explore partnerships with Columbus Community Hospital, community agencies and four year university in the area of child development and early childhood education. Action planning in Ord and other rural communities as part of the University of Nebraska Rural Futures Initiative projects and Young Nebraskans network. The RCDI grant has been completed, but much of the programming begun during the grant continues to be carried out in Ord and the surrounding communities. They include: Business Discovery Day, Career Discovery Day, Community Builders and SVLA Leadership Series. Customize training, adult education and workforce development programs for area business and industry. The Nebraska Dept. of Education has collaborated with the Nebraska Dept. of Labor to integrate components of career exploration, job readiness and job skills within Adult Education programming. Implementation of HELP grant programming and professional continuing education throughout area in cooperation with other Nebraska Community Colleges. All 4 colleges are currently enrolling students into Project HELP. The process of setting up satellite lab locations for Surgical Training is ongoing and scheduled to start in the Spring of 2017. 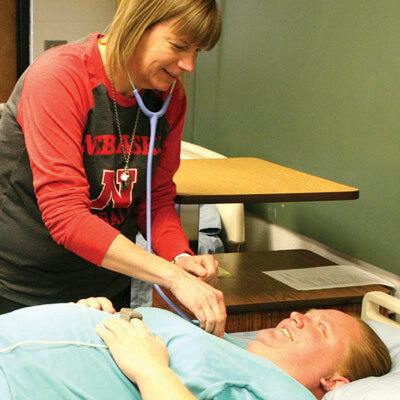 A Medical Assisting satellite lab is being established in Norfolk and will be ready by Spring 2017. Leaders promoting growth and development for Manufacturing in Hastings. Members: Three from CCC, two from HEDC, three from Manufacturing, and three from Hastings Public Schools. The Highland Park Pavilion is complete minus the metal railing being built by a local company and installed. The second year Construction Technology class also completed a remodel of the Hastings Community Theater this year and started another Habitat for Humanity House. Develop relationship with South Heartland District Health Department for Community Health Workers. A meeting with South Heartland Department happened early on to determine the need for Community Health Workers and what type of partnership we could have. They indicated a very minimal need for this type of position, as they only employ one on staff. It appears to be a growing field but there are just no job opportunities. Conversations were left with the intent to keep the topic and partnership open should more need arise between our two entities. 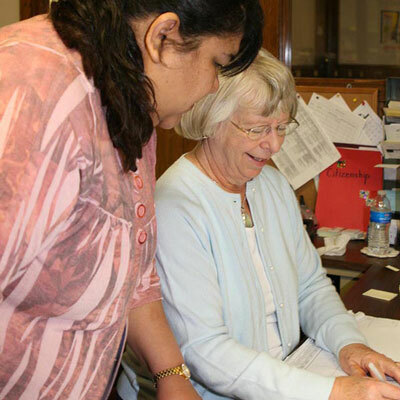 Environmental Sustainability Office volunteers in a minimum of three Community Service and Health Projects annually. Completed, this will occur annually. 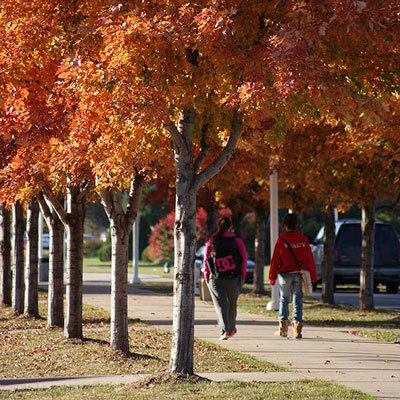 Have trails connecting each campus to the local community. Participate in 3 presentations at public events annually in the local community or in local media outlets. We will be revising the Sustainability Leadership Presentation series at the end of SP 2017. Our vision is to have a collaborative sustainability network with all of our partners and an annual in person conference annually at a partners host site. Multiple walking and biking events have been planned with the Central District Health Department and multiple Grand Island Community members that collaborate multiple events. For the past few years, Extended Learning Services worked with CCC's Environmental Sustainability Director to identify Community Education non-credit classes that would fall under one of the levels of sustainability. The classes that meet the criteria are identified as doing so in our Community Education brochures. We also have established bee hives in GI and in Hastings that are producing honey. Our Regional Director in Ord taught an Entomology Camp for youth in elementary school through high school. We currently have interns on all three campuses. We would like to pursue interns at all of the centers as well. Develop a renewable energy management industry committee that will offer internships to students and participate in Earth Week events. Plan America Recycles Day, Earth Week, Adopt-A-Road/Park litter Clean-up and other sustainability and community events in partnership with faculty, various on campus Departments/staff, local businesses and non-profits. Establish a CCC farmer’s market. Participate in 3 local community sustainability groups/committees annually and volunteer at shared planned local events. Organize and plan two bike/walk events per year. Chair and plan a Resiliency Committee composed of members representing the CCC service district. Complete, but new goal will complete projects in 2019! 2017-2018 we initiated New Faculty Collaboration. Held meetings in September 2017, October 2017, February 2018, April 2018. Meetings were held via the Distance Learning (IP) system. Have held CARE Team training, LGBTQ training, and some Cultural Awareness session during the Teaching and Learning Summit. Human Resources and payroll explored if there was any way around the hourly volunteering guidance and per the Fair Labor Standards Act (FLSA), there is no latitude around this. Hourly employees now receive 12 hours of vacation instead of 10 hours of vacation on the 1st of every month. That makes their accrual the same as contract staff. Consider tuition waivers, etc. for part-time employees. Expand Professional Development (Summits, New Faculty Institutes, Supervisor Training and Employee Development Skills). We have offered Teaching and Learning Summits since 2012 and Staff Summits since 2014. The New Faculty Institute started in 2011. Additional Development/trainings (Supervisor and Employee Evaluation Training, Diversity Training, Focus Group sessions held for future supervisor training). Conducted research for online training providers for future employee training sessions. We continue to look at and evaluate the Summits, Institutes and training sessions. In June 2018 we updated the Teaching and Learning Summit to have more of a "conference" feel and had a Pre-Summit and Summit sessions. We are currently looking at merging the Staff Summit and the Staff In-service together to offer in October 2018. We have completed some research but have yet to put together a Supervisor Training. Our new Learning Management System (Biz Library) will assist us with the development. Find additional ways to promote new ideas and collect input from faculty and staff. Leadership Program research has been conducted, organized group meetings, met with and approved by College Cabinet, topics have been determined and a few presenters have been decided. Two classes have successfully completed the Leading with Excellence program. Improve communication between full-time instructors and adjunct instructors. Provide consistent adjunct training opportunities at each campus. An area-wide committee, including a member of the HR Employee Training office, was established in SP 2017 to plan training for all adjuncts (ELS as well as for traditional classes on campus) that would be consistent across the service area. Training would not only include CCC policies and procedures, Learning Management System, College updates and opportunities for adjuncts to meet with full time faculty in their respective disciplines. Provide professional development opportunities for adjunct instructors. The CQIT worked together to create a larger representative membership, including annual rotation of a cabinet member and student group representative. The CQIT also added responsibilities of assigned action project liaisons to be involved in action projects and update the committee on project progress. The CQIT is also reviewing the suggestion box for themes that could result in an action project relating to strategic goals. Achieve a minimum of LEED silver standards for every new building and construction project on campus. Purchase only products produced by environmentally sustainable and ethically certified vendors. Any food waste is composted and used in the culinary and pollinator gardens on campus. Reduce water use by 25 percent overall. We are starting our water inventory in 2018 to establish a baseline for monitoring use. Eliminate fertilizer and pesticide use through composting and beneficial insects. Transition mono-culture agricultural contracts into local food production zones for the campus and local communities. Pilot dashboard has been completed and we are seeking overall feedback. Also the 2015-2016 greenhouse gas inventory and STARS report have been completed, but this must continue annually. Grow team presence and involvement in initiatives. Improve communication / reporting to all employees. (see update to 5.1.1) The CQIT will be a part of the Administrative Summit along with the Strategic Planning Committee beginning SU 2016. This collaboration will result in an annual update to the strategic plan and in the identification of new action projects for the 16-17 academic year. (see update to 5.1.1) The CQIT will be a part of the Administrative Summit along with the Strategic Planning Committee beginning SU 2016. This collaboration will result in an annual update to the strategic plan and in the identification of new action projects for the 16-17 academic year. Our CQIT members will request to be added to the agenda for the various committee meeting on which they serve. Establish an Executive Team that clearly defines "Institutional Goals" annually. Include Academic and Institutional goals within the "Capital Budget Process". 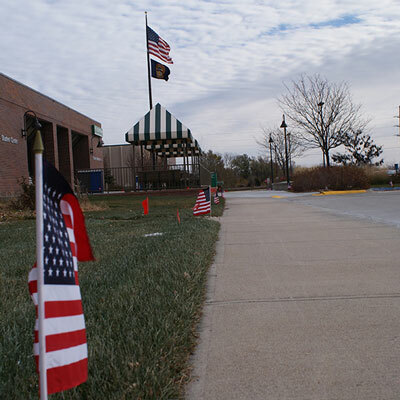 Facilities Master Plan went far into Budgeting with the intent of calling for everyone's input, and aligning it with strategic and environmental goals. Institute the IT committee's recommendations into the budgeting cycle. Process is established; changes to the committee need to take hold. Have Executive Team review IT Committee's recommendations to ensure alignment with Institutional goals. Develop funding mechanisms to support Environmental initiatives in either/both the operational budget and the capital budget. Transition to one electric fleet vehicle and solar/wind charging station on each campus and the Kearney Center. Also allow staff and students to utilize the charging station. Each campus will be carbon neutral due in electricity use on campus and local renewable energy projects shares. Achieve climate-neutral impacts across all areas of operations and influence, including college facilities; business travel and commutes; and procurement. We will have the percent reduced by May 1 when our Greenhouse Gas Annual Report is submitted. Annually increase FSC certified and post-consumer waste content of paper by 10 percent. Will meet with purchasing in Fall 2018. Divert a minimum of 40 percent of college landfill and construction waste for recycle and reuse and begin a staff and food service provider composting program. Decrease college paper use to achieve a 25 percent reduction from the 2016-17 baseline. Since the new printers were installed CCC has used 2,491,567 sheets of paper. When we have one full year of data we can determine reduction or increase. Divert 50 percent of college landfill and construction waste and compost a minimum of 50 percent of food waste for use in the culinary and pollinator gardens.